Click the player above to watch a short preview video. Did you know that the Lord has amazing plans for you? 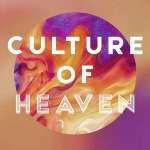 He wants to bless you and cause you to bring Heaven’s culture to your home, city, and beyond. To Register for the LIVE web Stream, Including 3 weeks of unlimited replays, click the "Add to Cart"" button below, and check out with our shopping cart. Please be sure to enter a correct email address as your links to view will be emailed to you immediately after purchase. You may also return to our website immediately after checkout to download your links. We will Email your links to you immediately after purchase. If you do not see them within 5 minutes, check your email SPAM folder or Email us for support. You may also return to Kingdom Flame after checkout to download your links. Combo 1- BEST BUY! Web Stream Plus BOTH MP4 Video and MP3 Audio files USB Flash Drive – Save $30.00! Best Buy! - Not only do you get the Live web Stream and Web Replays, you also You get BOTH the MP4 Video and the Mp3 Audio files from this event on a USB flash Drive! Use this to play the videos on your computer, TV or Tablet, and listen to the audio in your car or on your phone! Combo 2- Webstream Plus an MP4 Video Disk – Save $15.00! This combo includes the Live Webstream and Online Replays PLUS a Boxed set of recordings on DVD Data Disks with the sessions from the Conference in .mp4 video format. You can store and play these videos on any computer with a disk drive or transfer to your phone or tablet, or play on some DVD players that have MP4 capability. Combo 3- Webstream Plus an MP3 Audio Disk – Save $15.00! Can’t attend one of the live sessions? – Don’t worry- Your Web Stream Subscription includes 3 weeks of unlimited on-demand replays with Worship, Ministry and Teaching!